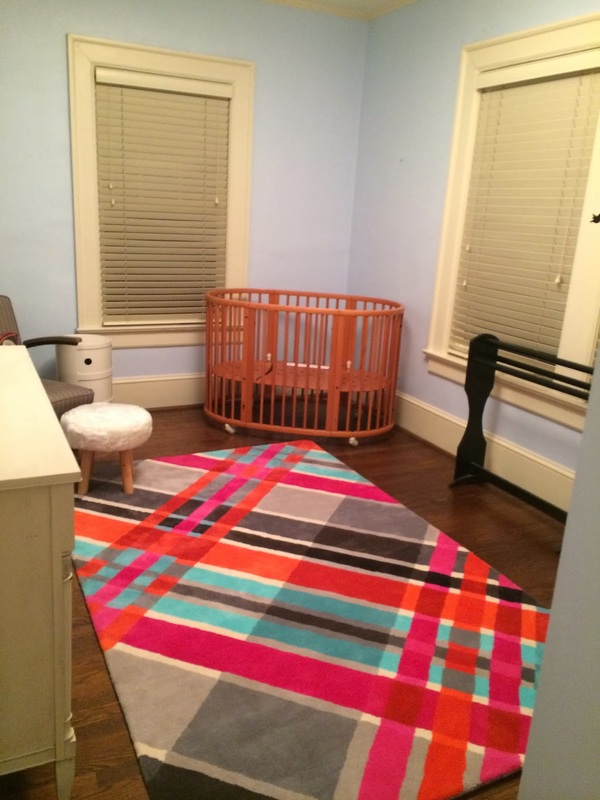 Just before Christmas I received an email from a reader with a nursery design dilemma. First off, I LOVE decorating nurseries. 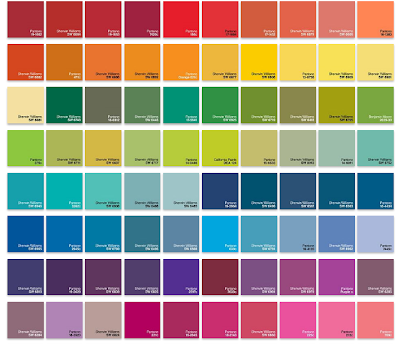 So many options, so much room to let your imagination run free. So, I didn't hesitate to offer my assistance. 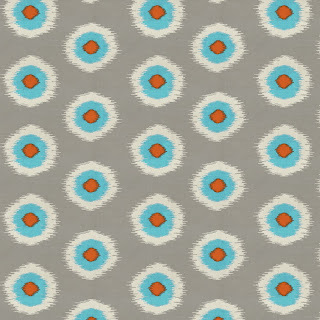 "I found a rug that I love but the colors are kind of crazy. So I was going to paint 3 walls gray and do stripes of some sort on one wall. But now I’m stuck. If you’re interested you can see the rug on the attached photo. I adore it (oh, it’s a boy) but now I need to make it all work. Maybe I should paint the base of the wall gray and just do one wide stripe in the deep magenta color or orange? I love mixing patterns but I may have backed myself into a corner with this rug. I need curtains, bedding, etc. and would love to layer different patterns but I don’t want it to be CRAZY." I think my reader is off to a great start, and I don't think they've backed themselves into a corner at all. I love the rug. I also love that they are bold enough to use it in a space intended for a boy. First things first, I'd start with the base wall color. Something like a soft gray is soothing and modern at the same time. 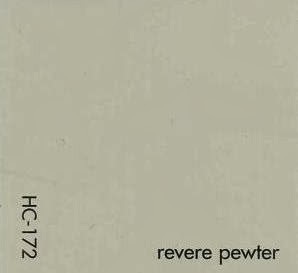 Benjamin Moore's Revere Pewter is always a crowd pleaser. With the base color in place I'd move on to the stripes. With such a small space, I'd opt for a horizontal stripe and I'd carry it around the entire space. This will help to keep the eye moving around the room. I think to add the stripe to only one wall will make it seem choppy. 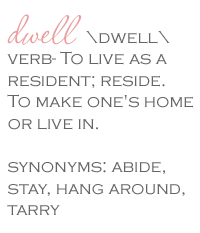 Additionally, I wouldn't worry about the fact that the walls have windows and doors. That just means less stripe painting for you. : ) You can find more about the process of stripe painting HERE. 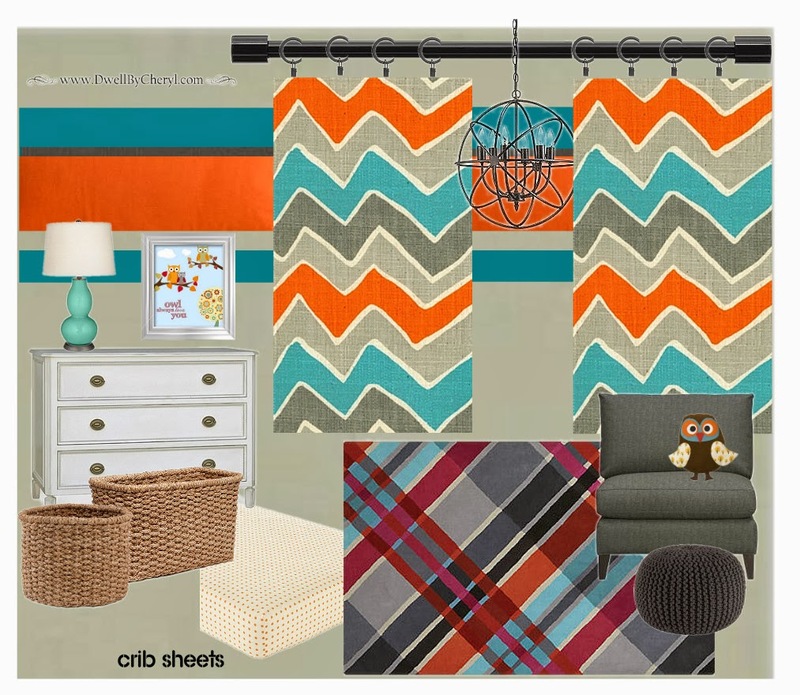 For the colors in the wall stripe I'd play up the orange and aqua. You could add just a small stripe of the darker gray. 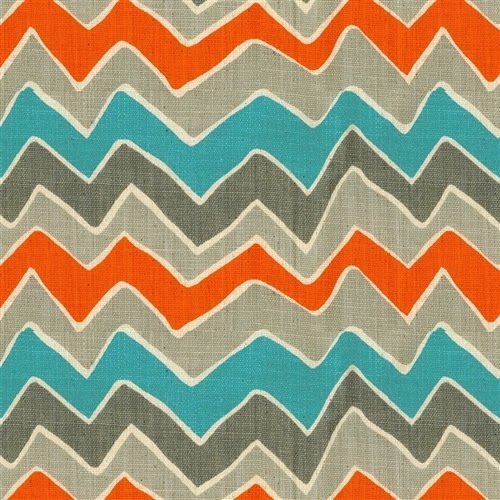 The orange and aqua will also look great against the soft gray background. You can even let the base color show through for a four color stripe. 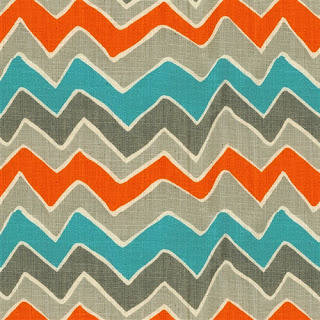 Like you, I LOVE pattern mixing, so how about a fun patterned drape using this fabric from Carousel Designs? 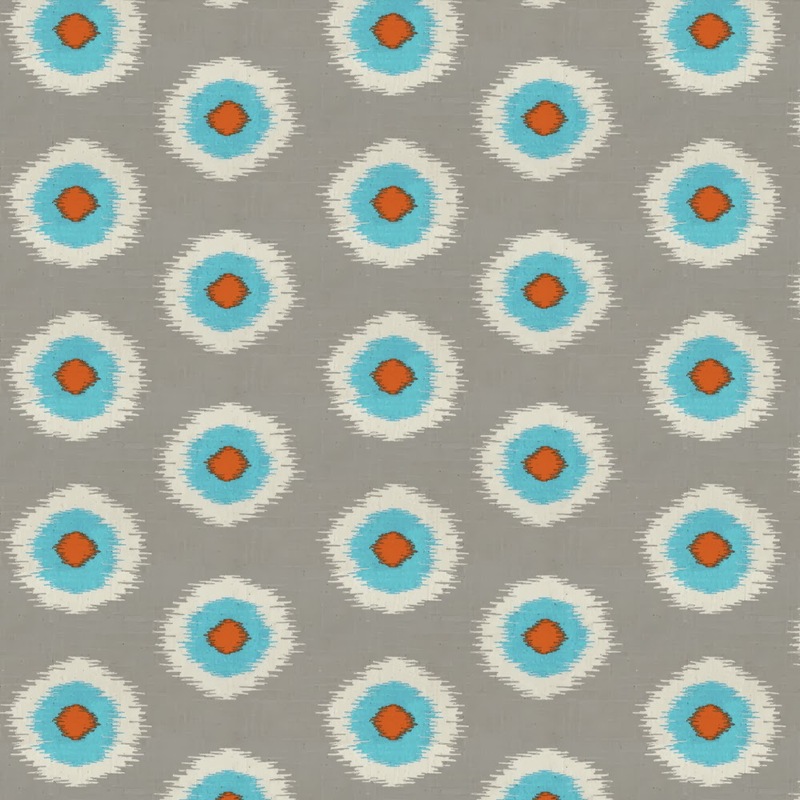 This coordinate would also make a great accent fabric. 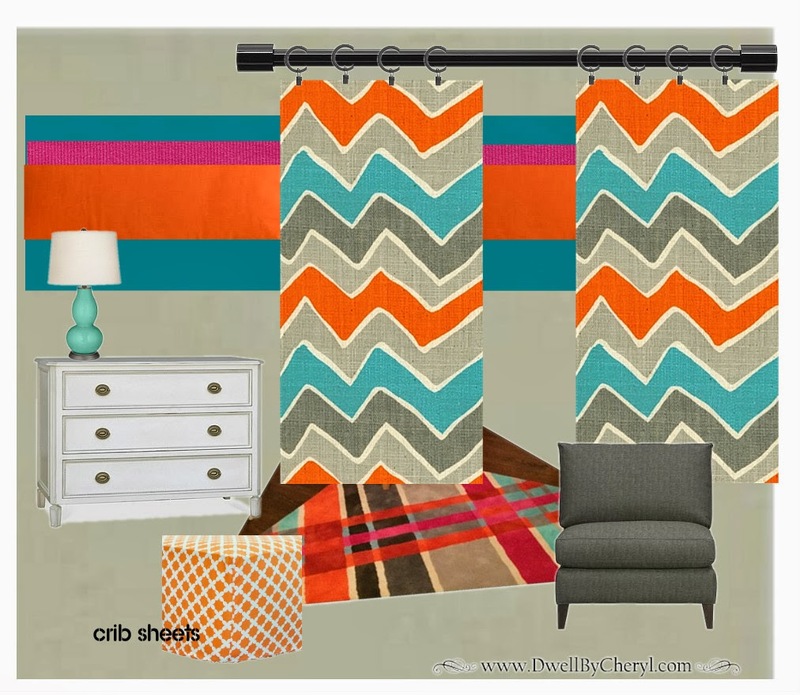 With a bold wall stripe, print drapery and a graphic rug, I'd keep the remaining elements very simple. 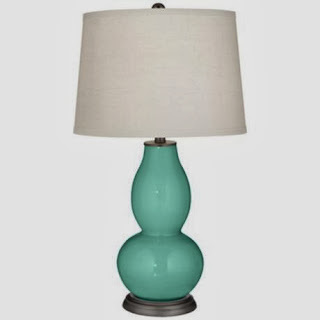 For example, Lamps Plus has an awesome variety of gourd lamps in every color of the rainbow. The colors are fun but the design is simple and unfussy. You're off to a great start. Good luck and let us know how it all turns out. Wow! 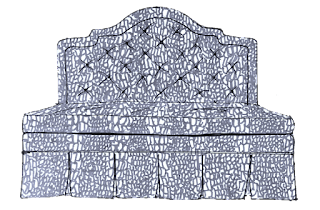 all these furniture are looking very great, I really liked it and I am really impressed by it, thanks for sharing such a great collection with us. I would have felt like the soon-to-be parent -- backed into a corner. You definitely pulled it all together! You are a genius Cheryl. I LOVE LOVE LOVE it. My brand new grandson is going to be one lucky lucky little boy. Thank you for solving my problem and making the rug I love work. You are a rock star!!! !